A nice choice for those who are angry and just wanna kill someone. 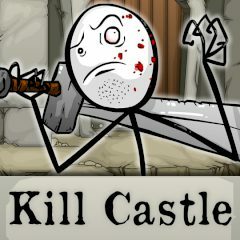 Your aim is to capture the castle, having destroyed all the guards and solved all the difficult puzzles on your way. Be careful, because you aren't immortal too!